It started as a conversation in my tenth grade English class last semester. We were studying The Crucible and discussing how it applied to our world today. Who are the witches today? Who are the groups of people that we ostracize, isolate, push aside? My tenth graders reflected on the lives of refugees, homeless people, those who felt bullied. But one young man in my third period class made an astute observation - the elderly. We push older generations to the outskirts of our communities. 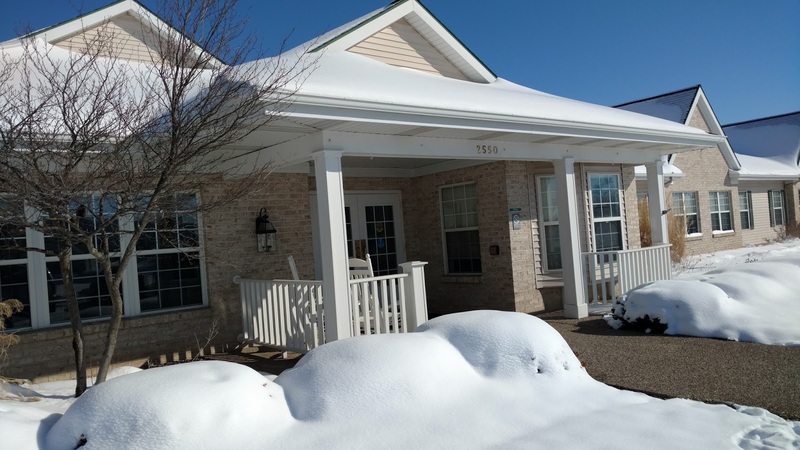 This sparked an insightful conversation and planted a seed for how our high school community might connect with the assisted living facility just across the street. Despite the snow and ice, that seed bloomed today. My public speaking students have been practicing interview skills. However, rather than sitting in our classroom and playing pretend, I asked my students to conduct and record real interviews using the StoryCorps app. Our purpose was to capture moments of our community's history. Students practiced their interview skills by asking their siblings, parents, and grandparents to share about their childhood. And today, we took our skills on the road. 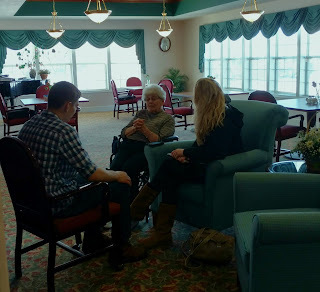 My students spent our class period interviewing the residents of Ionia's Green Acres Assisted Living Facility. 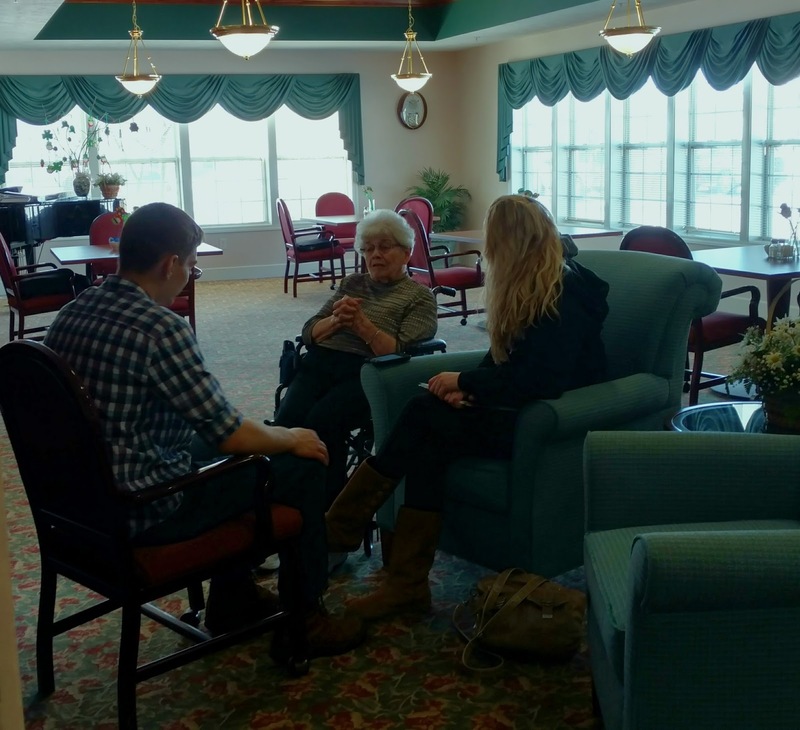 Working in pairs, my students introduced themselves to residents who were eager to share stories of their childhood. In arranging this opportunity, the Life Enrichment Director asked me about how long I thought the interviews would take. I guessed about 10 minutes. I was wrong. My students and the residents didn't want these conversations to end. As my student interviewers emerged from their conversations 30 minutes later, they were eager to share. "My person went to clown school! Can you believe it?!" "My resident lost her husband just one year after he built their dream home." "My person was kicked out of summer camp, and when he came home, his family had gone on vacation!" My students didn't just practice their interview skills today. they made community connections. And in talking with my students, the residents, and the staff, this is a connection that we are all looking forward to growing. Hover over the image below to find links to our interviews. What a wonderful idea, both for your students and for the residents! 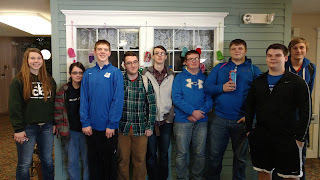 Kudos to you for organizing an activity that enriched the lives of so many. I am sure your students will never forget it.